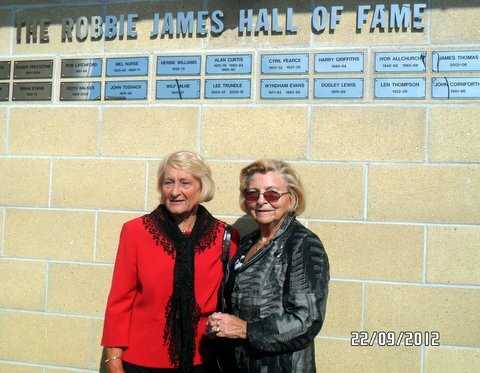 On Saturday 22 September 2012, the Robbie James Wall of Fame was unveiled at the Liberty Stadium. 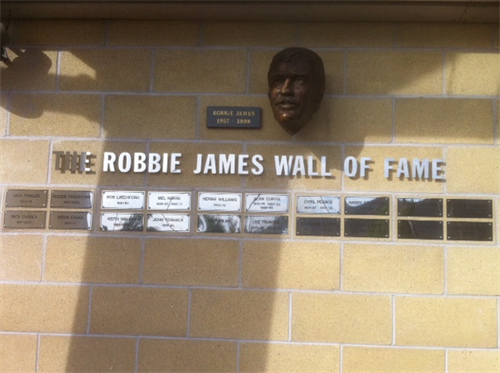 The Robbie James Wall of Fame was established at the 2011 End of Season Awards Dinner. 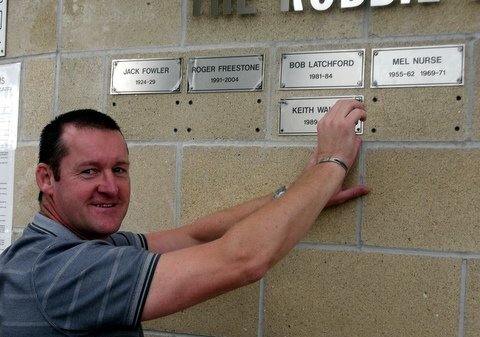 It was originally intended to induct 10 names per year into the Wall of Fame to bring the total to 100. Subsequently this was changed to induct 20 per year to complete the 100 names over a shorter timescale. Names will be added in no particular order but all have played their part in 100 years of the Swans. All of them have in some way shaped the way that the football club is today no matter whether it by number of appearances, number of goals or just the impact that they had in a short term at the club. The initial concept was described as a “Hall of Fame” and this was the title during the planning stages. The decision to change to “Wall of Fame” was taken late on and came too late for the signage to be changed in time for the unveiling. Plans are in hand to change the signage to reflect the new title. 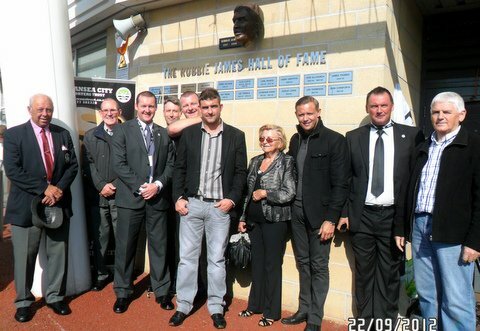 The Supporters Trust was delighted that a number of those named on the Wall of Fame or their representatives, were able to be present at the unveiling. It was also grateful that Esme Allchurch and Gwen Griffiths kindly agreed to perform the actual unveiling. We don’t seem to have managed to get one photo of everyone involved at the unveiling. We need two photos to capture them all. Can you spot who is missing from each photo?